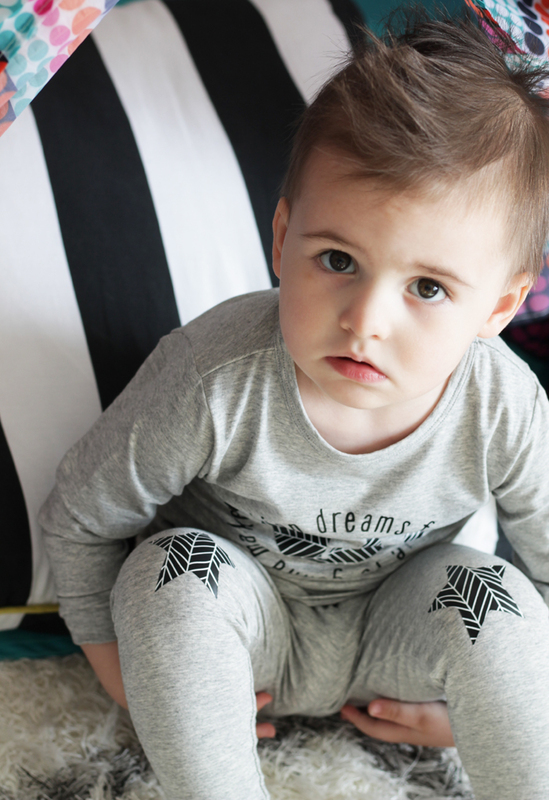 Learn how to take your kids’ pajamas to the next level with Cricut Patterned Iron On™ in this simple tutorial. 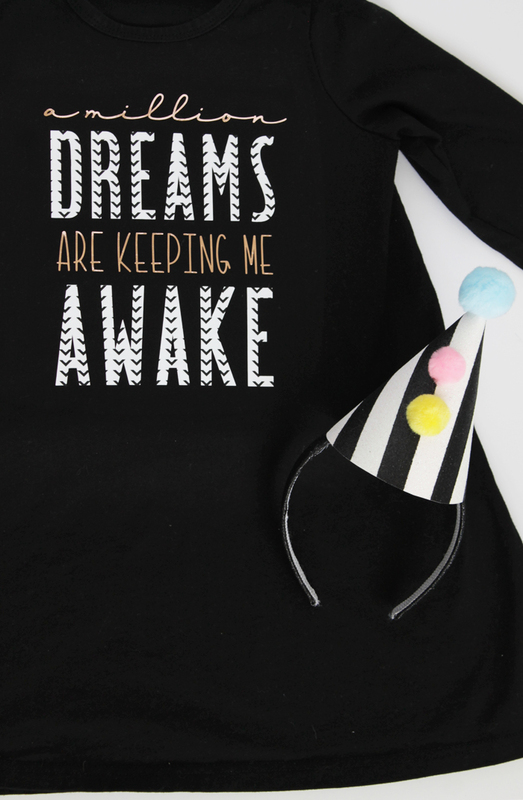 Find out how I customized plain pajamas with quotes from our favorite movie, The Greatest Showman. 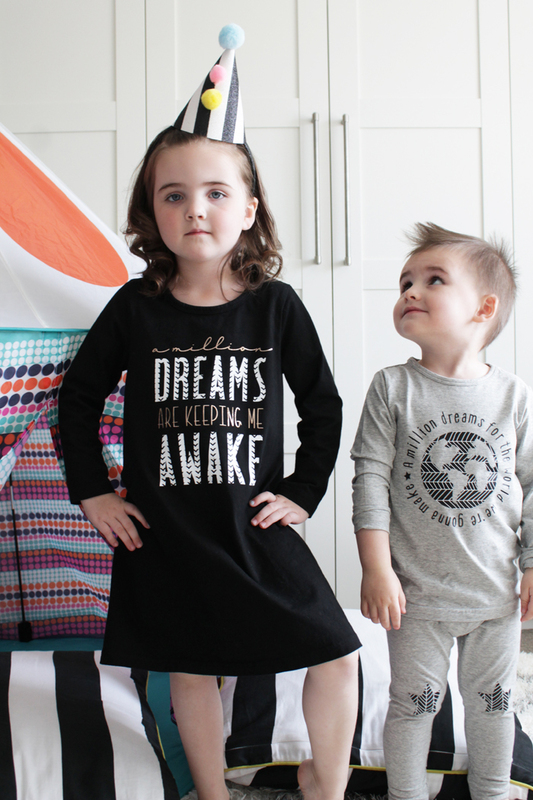 With the addition of Cricut’s new Patterned Iron On™ in the design of these kids pajamas, they will truly stand out in a crowd! 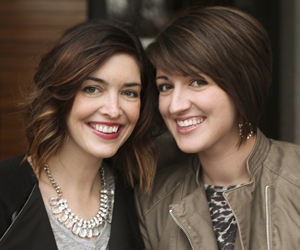 Look at those cute (and sassy) faces! 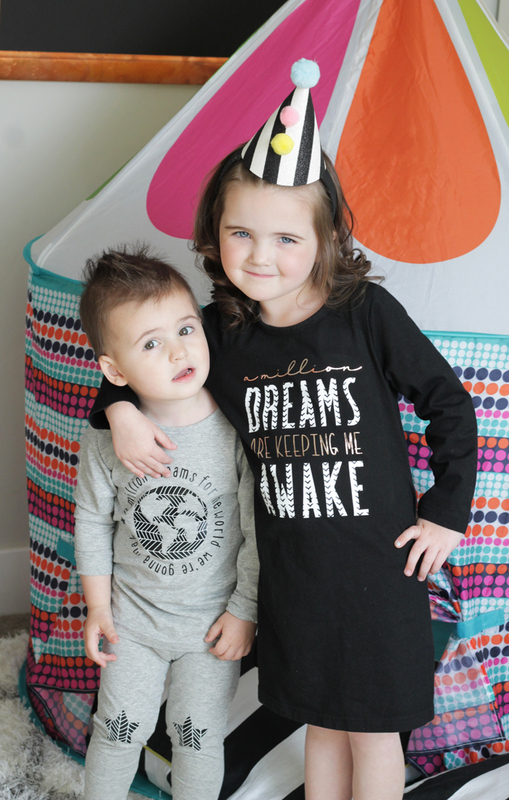 I’m so excited to share with you guys how I created these 100% custom kids pajamas with Cricut Patterned Iron On™ and my Cricut Maker machine and EasyPress! I don’t know about you, but I’m kind of tired of seeing the same old kids pajama options at the store. Can we talk about the crazy bright colors and cheesy character faces plastered all over them? 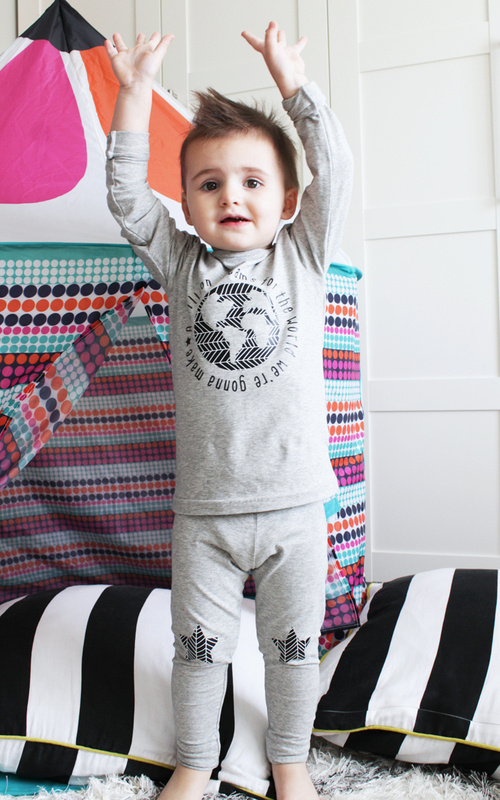 I’m all about neutral colored pajamas for my kids, that don’t scream cartoon! So I decided to find some plain cotton pajamas and add my own style. As soon as I saw this amazing Nature Walk Basics Patterned Iron On from Cricut, I knew I had to have it! I’m slightly obsessed with black & white, and I loved the idea of incorporating some geometric patterns into my designs to give them more interest. I love that the sampler pack comes with 3 different patterns that all coordinate! Cricut currently offers 9 Patterned Iron On Sampler packs, with 3 designs in each pack, so the creative possibilities truly are endless! 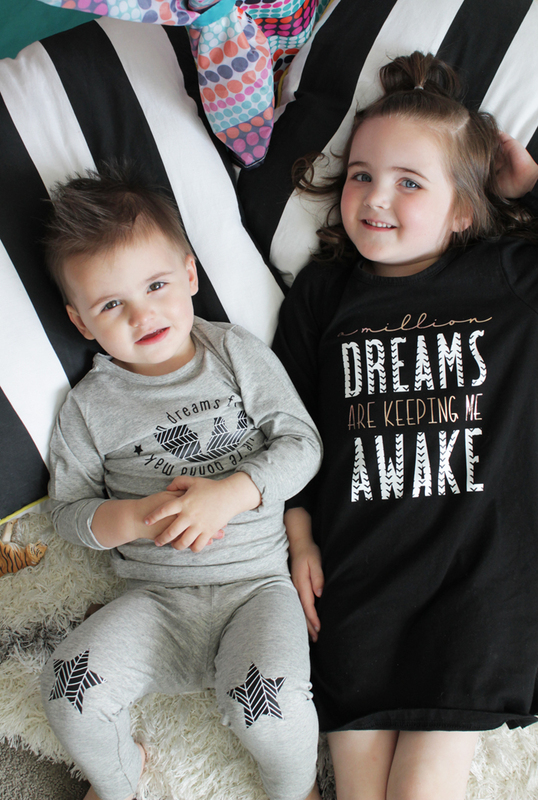 Our entire family loves the music from The Greatest Showman, so I thought the lyrics from the song, “A Million Dreams” would go perfectly with sleepwear! My first design showcases the black and white herringbone pattern in the image of the world, which is the focus of the design. I love how the pattern just pops off my son’s pajama shirt! I also added the patterned star detail on the knees of his pants. For my tutorial, I will show you how I customized my son’s pajamas, and then I’ll share my daughter’s design as well. Let’s get started! 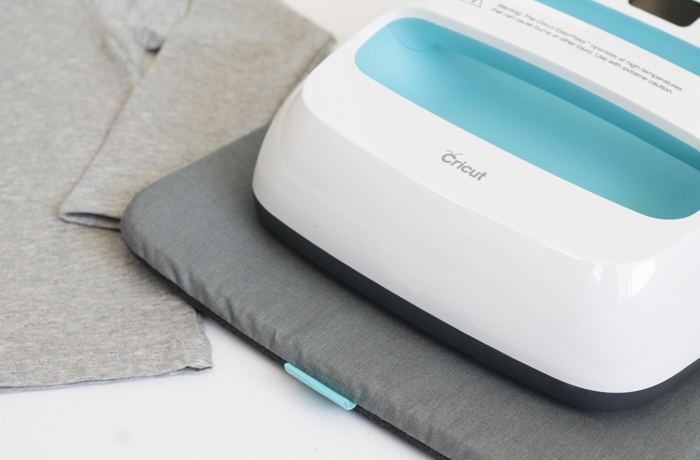 Cricut Essential Tool Set – I use the weeder and trimmer all the time! It’s almost impossible to find a set of solid colored plain pajamas at any retail stores, so I want to tell you a little more about the pajamas I ordered from Amazon. I really love the material. It is mostly cotton, (with a little polyester) and they are super soft for my little boy. The brand I linked here seems to run pretty true to size. I ordered a size 3/4 and it fits like a 4T. 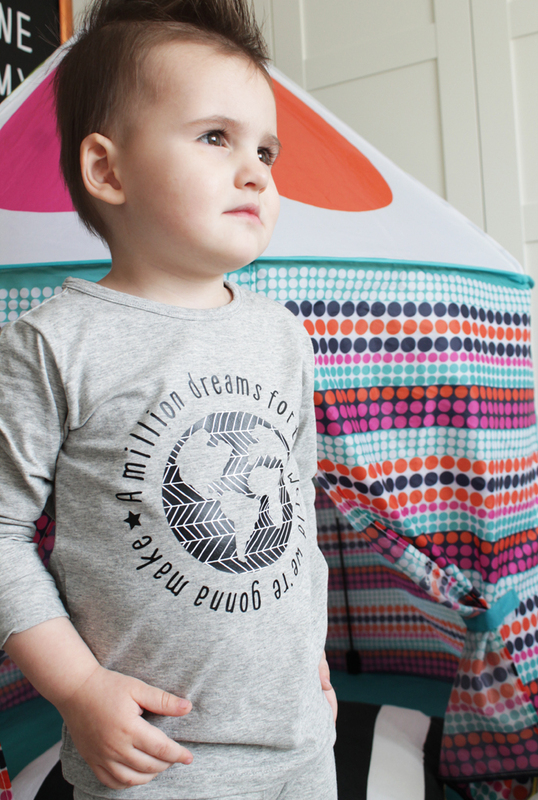 My son is just currently getting into size 3T so they are a little big (longer in the sleeves and pants), but they fit great everywhere else! 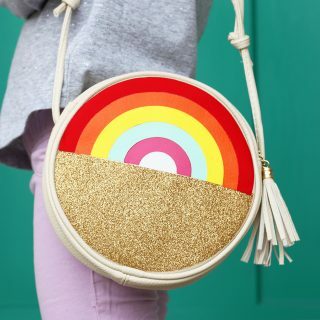 First, you will open up Cricut Design Space and add a new project. Since I already did most of the hard work, all you have to do is click on the links to my designs HERE and HERE. Easy peasy! Next, you will want to make sure the design is sized to fit your shirt. Mine are sized to fit my kids pajamas specifically, so if you have larger sizes you will need to make the design bigger to fit your needs. You can simply resize it by selecting the design and dragging it at the bottom right corner to make it bigger or smaller. I have created the designs with 2 different colors, so the mats will be separated for the 2 different materials I’m cutting (Patterned Iron On and Iron On Lite.) You can adjust those easily as needed! Once everything looks good, click on Make It in the top right corner. Next, you will select your material. If you don’t see it come up in the list of favorites, click on Browse All Materials and select Patterned Iron On, or Iron On Lite. 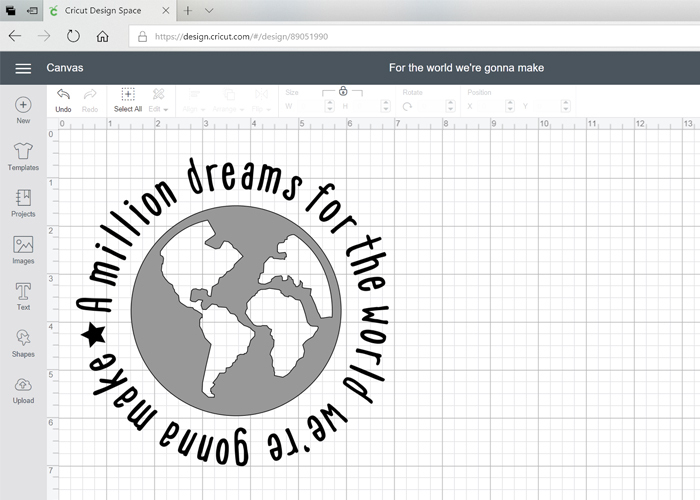 Also, make sure you have selected “Mirror” for your design, which is something you will do for every iron on project. Now you can add your Patterned Iron On to a Standard Grip Mat, and load it. 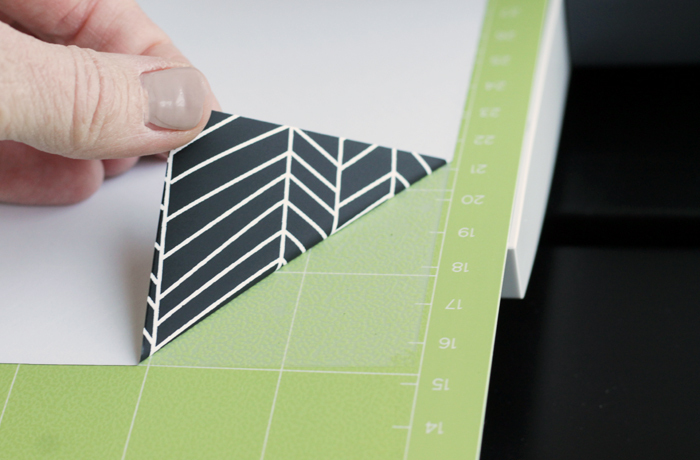 It’s also important to note that with the Patterned Iron On material, the patterned side will be faced down on your cutting mat. 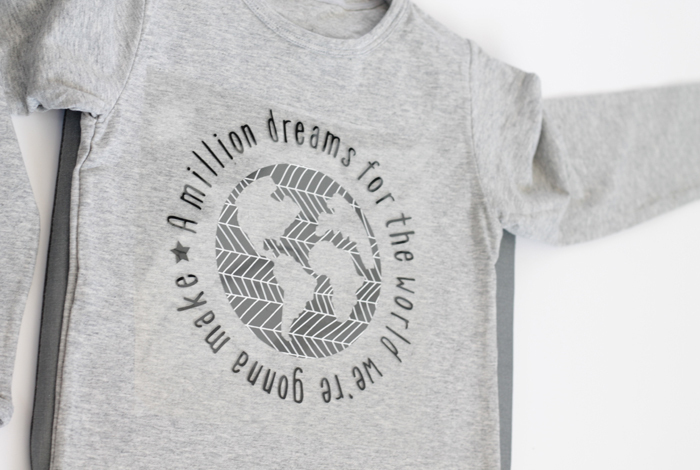 The Patterned Iron On world image with the text around it looks so cool! 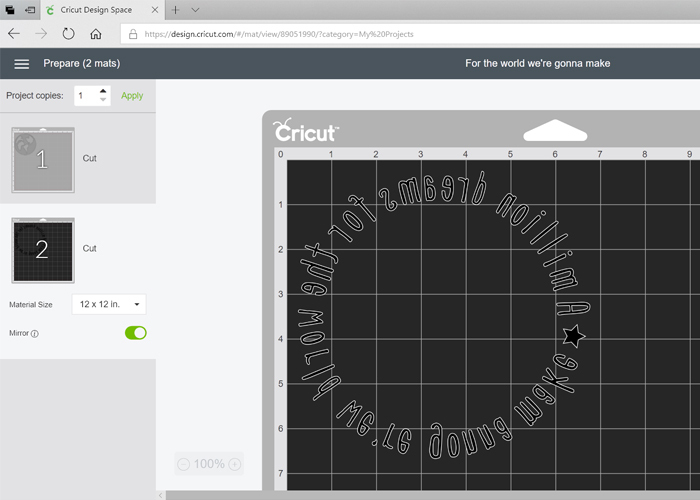 A really awesome new feature in Design Space is the ability to create curved text! I can’t wait to play around with this feature some more. Now, it’s time to use one of my favorite new tools! 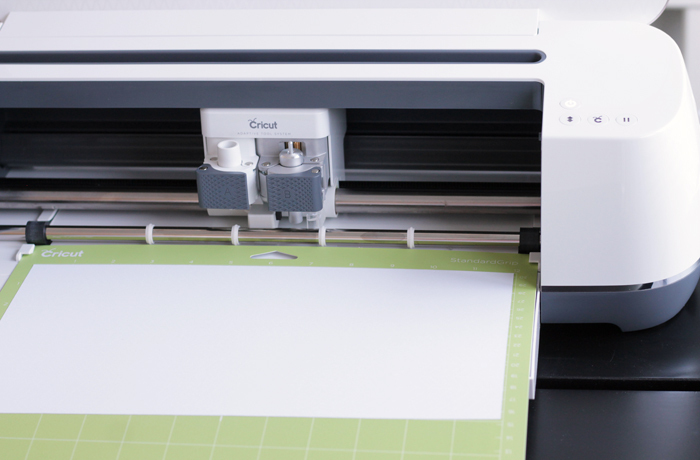 The Cricut EasyPress and EasyPress Mat. Since I have two different materials, I will be pressing them onto the shirt separately. It is important to look up the recommended time and heat settings for the materials you will be using. The complete list of EasyPress recommended settings will have all the settings for every type of material. 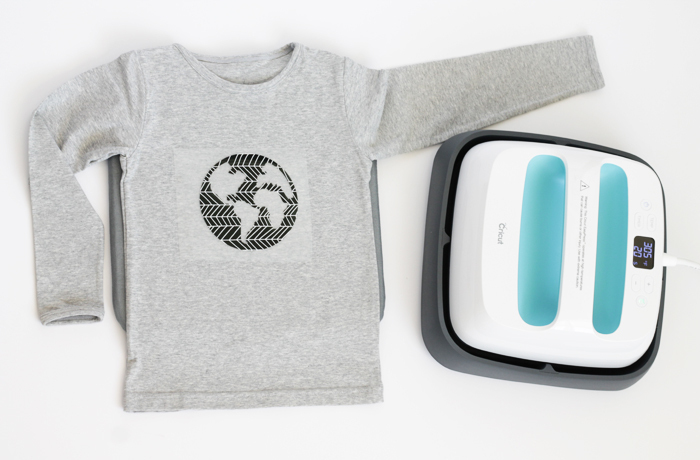 The recommended heat setting for Patterned Iron On with a cotton/poly blend is 340° and 30 seconds press time (with a 5 second pre-heat of the fabric and 15 second post-heat on the back of the shirt.) The recommended heat for standard Iron On Lite is 315° for 30 seconds, same pre- and post-heat times. If you are using two different types of material, you will always want to press the material with the higher temperature first. In this case, that is Patterned Iron On first, then the standard Iron On Lite second. I start by placing my design on the shirt to make sure it is exactly where I want it! It’s helpful to keep a ruler handy to measure the sides of the design to the edge of the shirt, to ensure that it is centered. 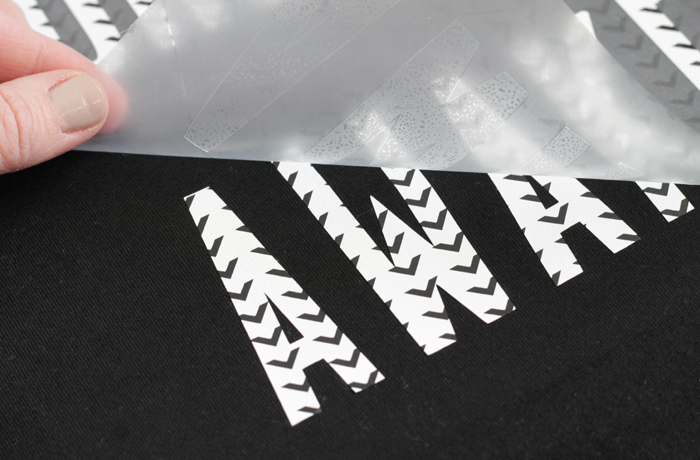 When the Patterned Iron On is secured, you will allow it to cool completely before apply your second material, in this case, the black lettering is standard Iron On Lite. 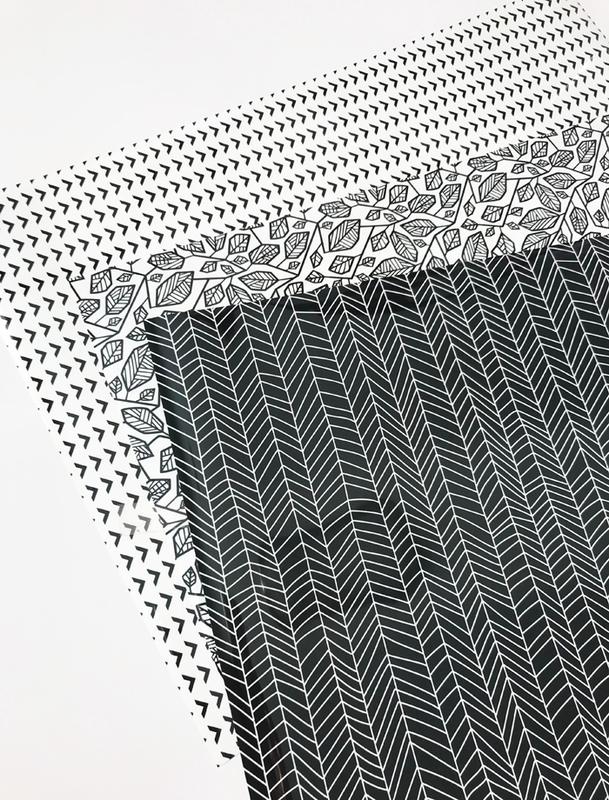 The recommended peel method for Patterned Iron On is always COLDPEEL, so even if it is the only material you’re using on another project, you will still want it to cool down before removing the liner. The final result is better than I had hoped! Once you get a few Iron On projects under your belt, you will become faster and faster. 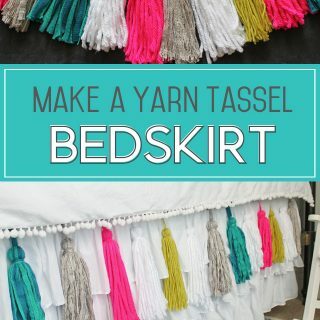 It is such a fun way to customize your clothing and home decor! I can’t wait to try the Patterned Iron On with some pillow covers and canvases, there are so many ways to use it in your home! I think it’s safe to say these pajamas turned out to be way cuter than anything I could find them at Target! I love them and I can’t wait to make more!